I’ve been having a kick creating cookies with fondant toppings. It’s such an easy way to decorate them and keep everything looking crisp and perfect. I think my favorite part to these cookies is the little heart on the ladybugs’ faces. It really gives the treats a Valentine touch. When you’re preparing Valentine cookies, what ingredients are important for you to include? Sprinkles? Pink frosting? Let’s talk about it in the comments below! I am excited to learn what your favorite Valentine’s Day Recipes are! Make sure to let me know. 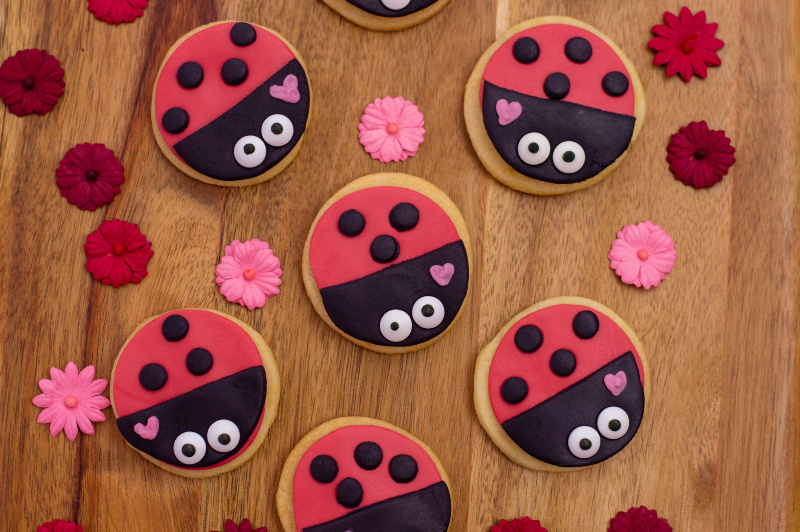 I hope your family loves these adorable Lovebug Ladybug Cookies as much as mine have. Before beginning, you must ensure that your cookies are completely cool. The quickest way to do this is to allow them to cool on a wire rack. Roll out your red fondant so that it’s about ¼ of an inch thick. With the same cookie cutter, you used to cut out your cookies, cut out 12 circle pieces. 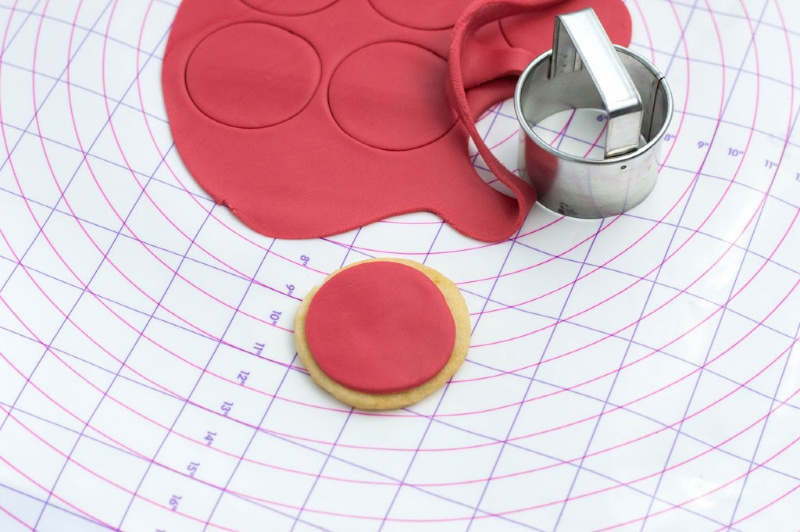 Press one red fondant circle onto each cookie and smoothen out. 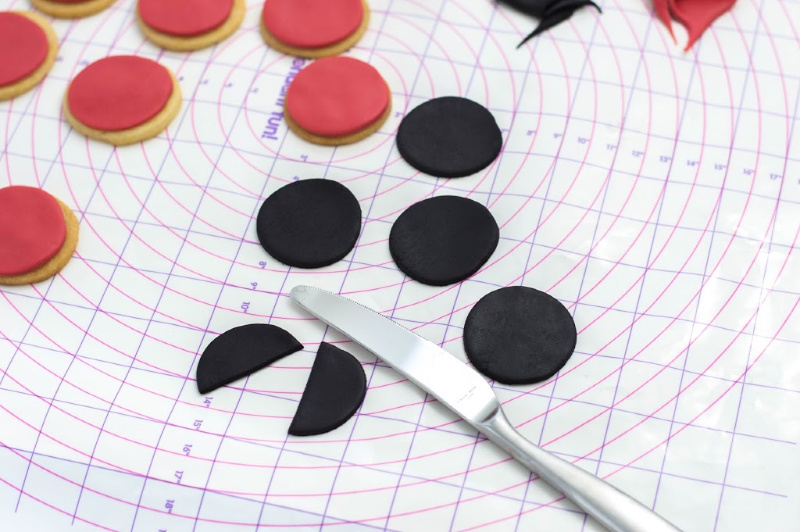 With your cookie cutter, cut out 6 circles from your black fondant. Using a butter knife, cut the circle in half. 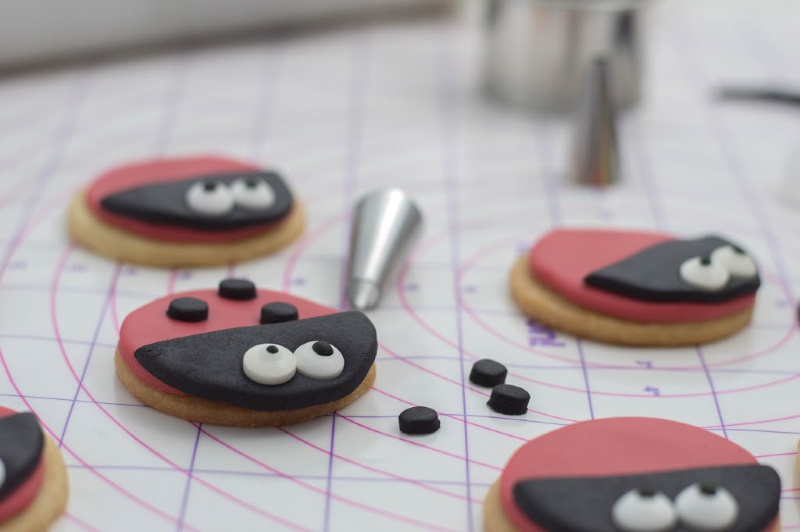 Press the demi circle onto each cookie – this will act as the ladybug’s head. 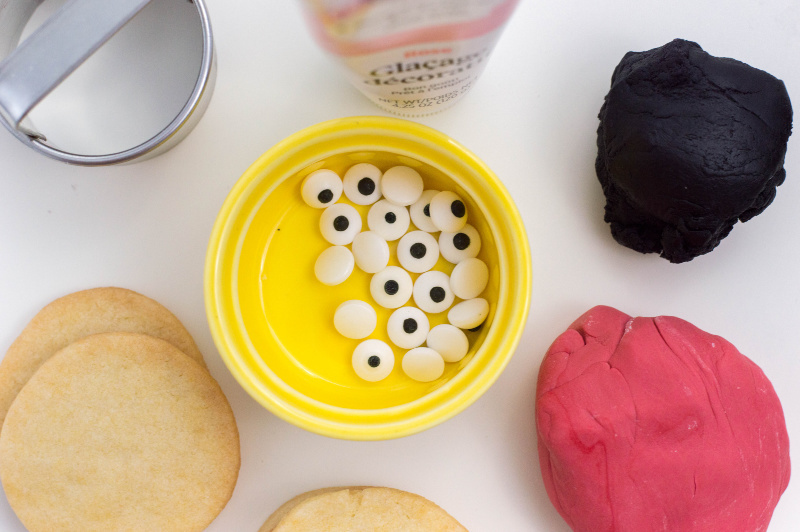 Using Wilton icing tip #12, cut out small circles from the black fondant and press onto the body of each ladybug. You can use 3-4 dots for each ladybug. Add 2 googly candy eyes on each ladybug. With your pink decorating frosting, frost out a little heart on each of your ladybugs’ head. Serve and enjoy! Make these for your children or even for your friends. I am sure they will love this Lovebug Ladybug Cookies and they will be a huge hit with everyone! 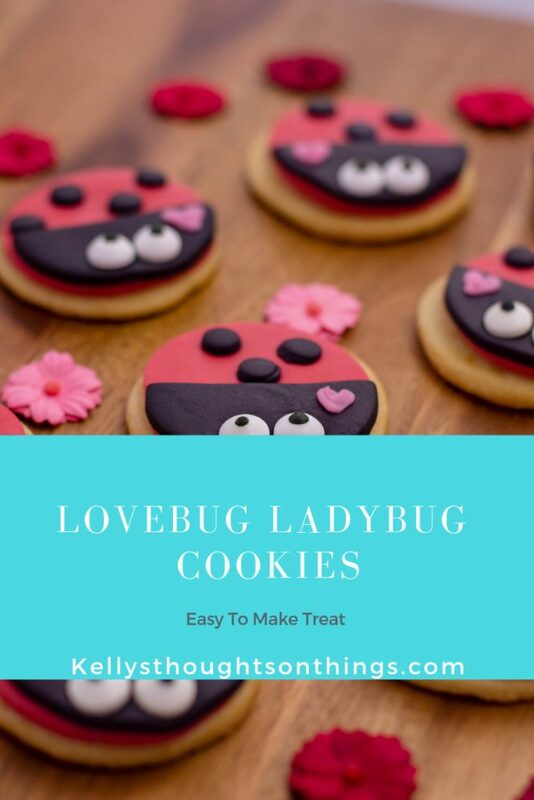 These Valentine’s Lovebug Ladybug Cookies are so cute and easy to make, you will make those special loves in your life, so happy!